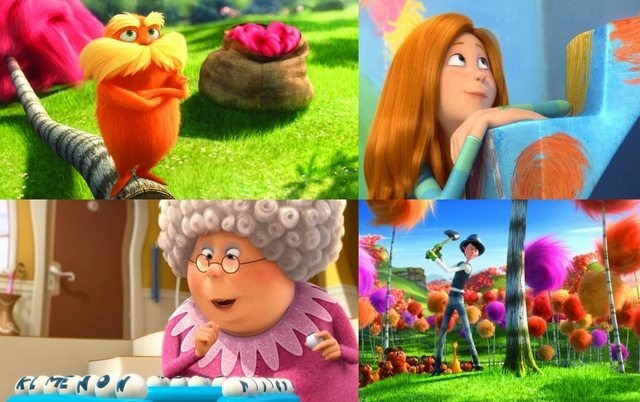 Dr. Seuss’ The Lorax opened to $70.7 million, which is by far the best opening of the year. It’s also the sixth-highest debut ever for an animated movie and second-best for a non-sequel behind The Simpsons Movie ($74.04 million). Dr. Seuss’ The Lorax: [Animation, 1 hr. 35 min.] Danny DeVito, Zac Efron, Ed Helms, Rob Riggle, Taylor Swift, Betty White. Project X: [Comedy, 1 hr. 28 min.] Thomas Mann, Oliver Cooper, Jonathan Daniel Brown, Miles Teller.